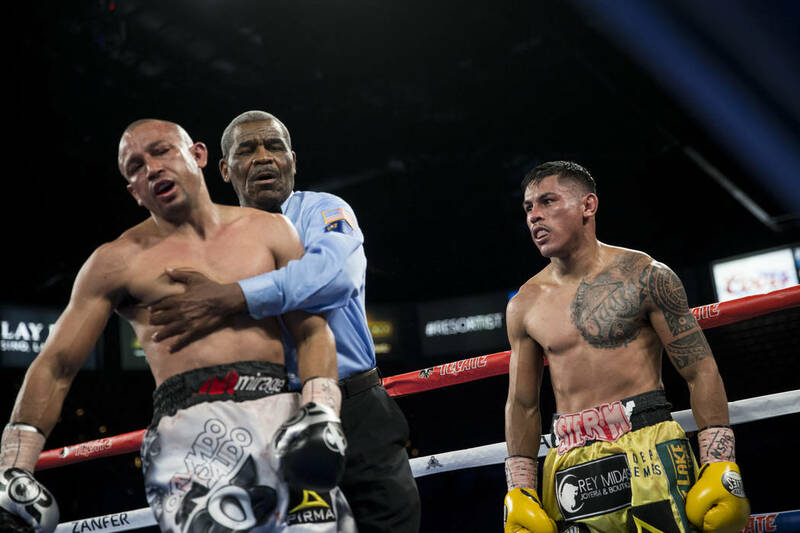 Mickey Roman dropped Orlando Salido three times for a ninth-round technical knockout during Saturday’s trilling main event at the Mandalay Bay Events Center. 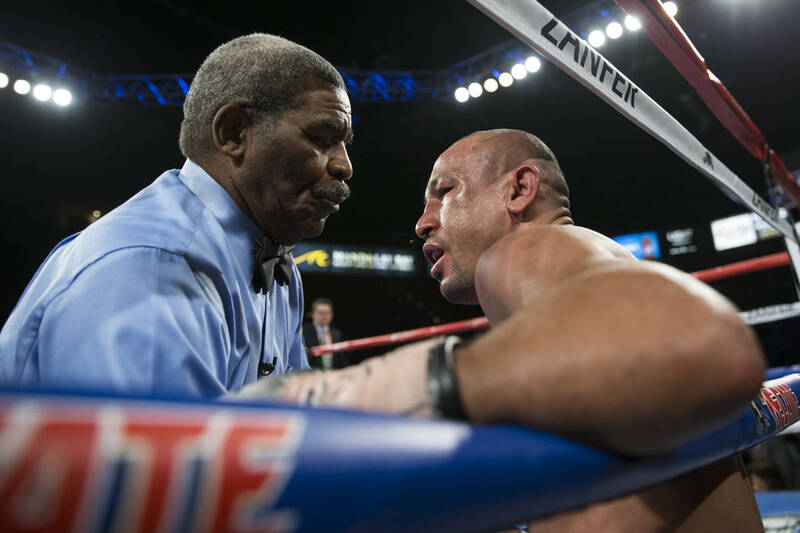 Orlando Salido sat on the canvas and took a deep breath while referee Robert Byrd began to count. 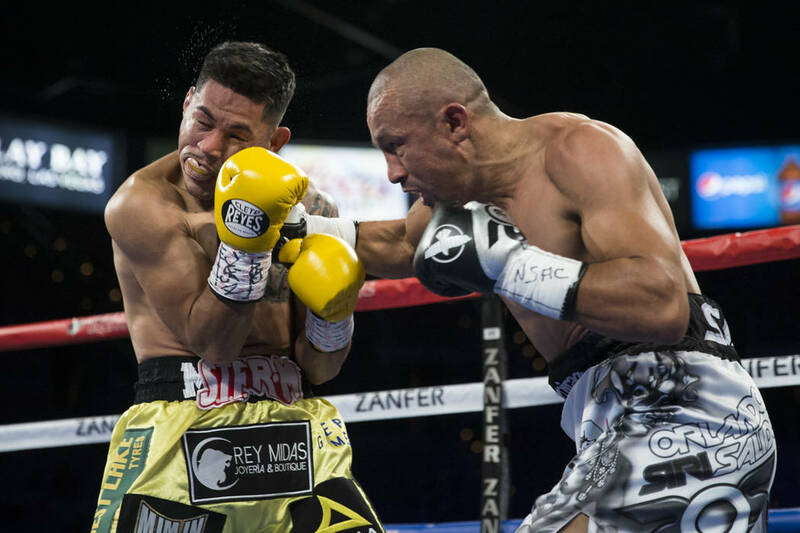 It was Salido’s last gasp in the ring, and he went out the only way he knows: swinging. 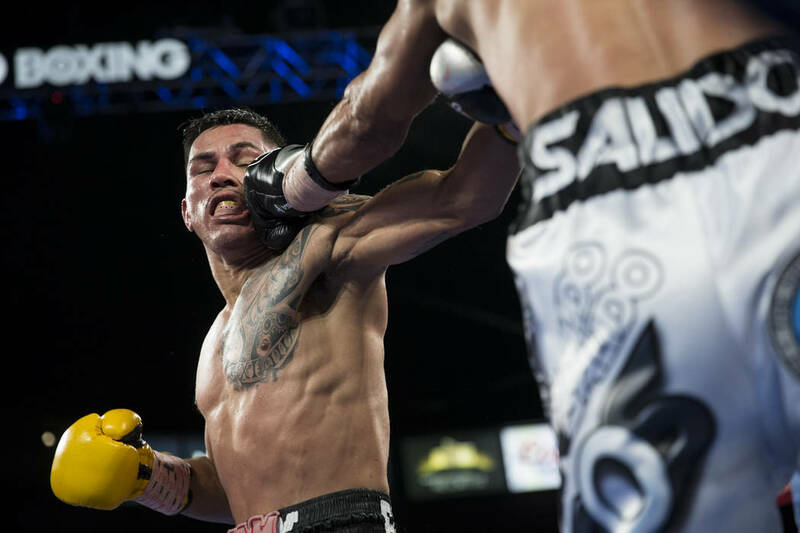 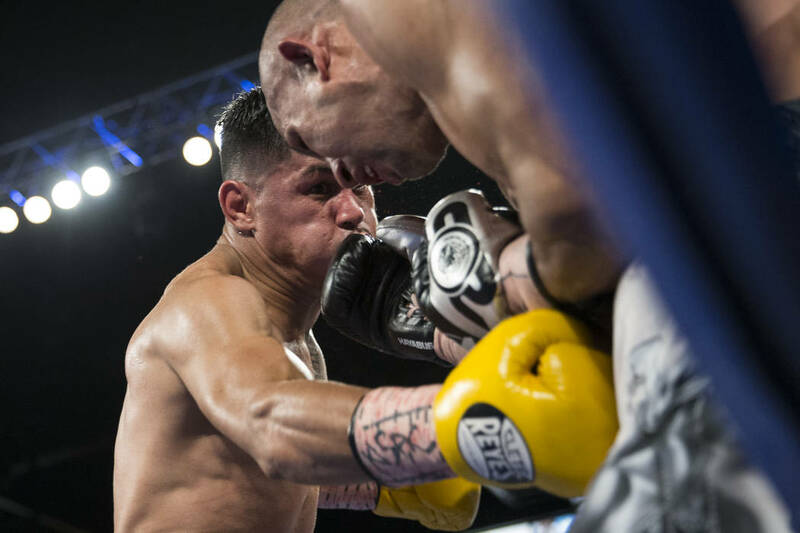 Mickey Roman dropped Salido three times for a ninth-round technical knockout during Saturday’s thrilling main event at the Mandalay Bay Events Center. 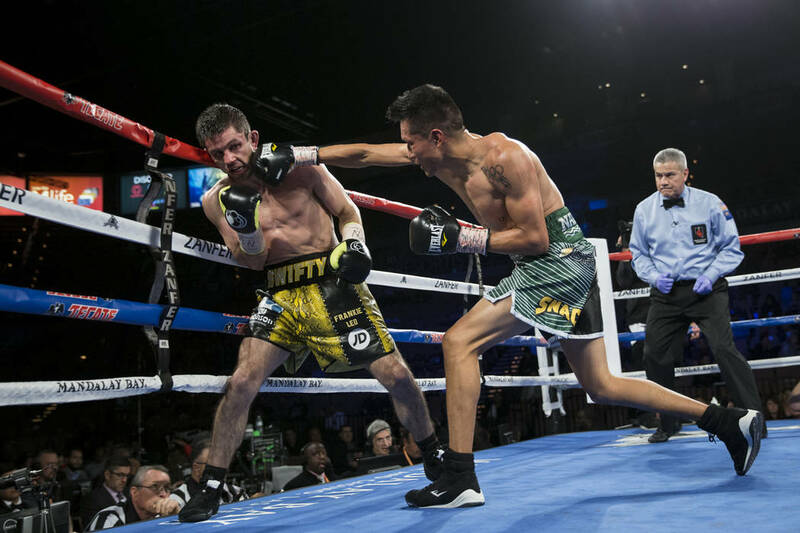 The Mexican fighter, who has produced numerous ring wars throughout his 21-year professional career, announced his retirement during the postfight interview. 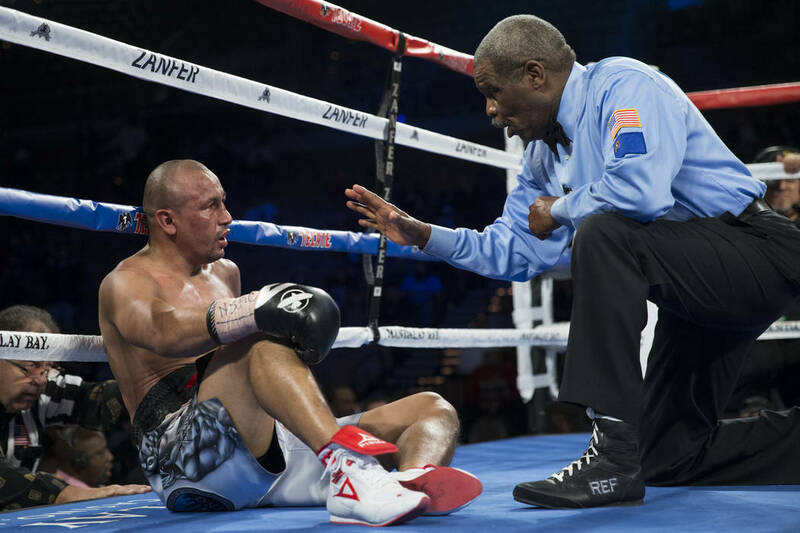 Salido, 37, possibly knew the end was near when he took his time getting up for the second knockdown in the eighth round. 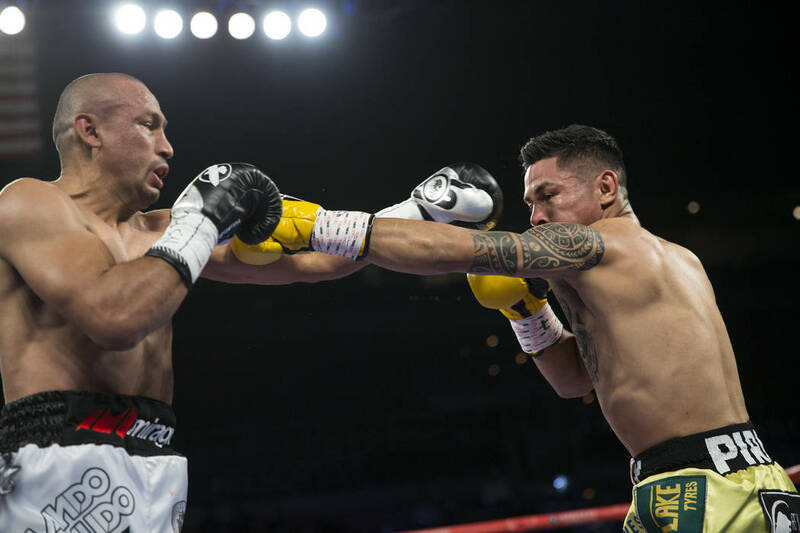 The recharged Salido immediately went after Roman for an exciting final minute to the round. 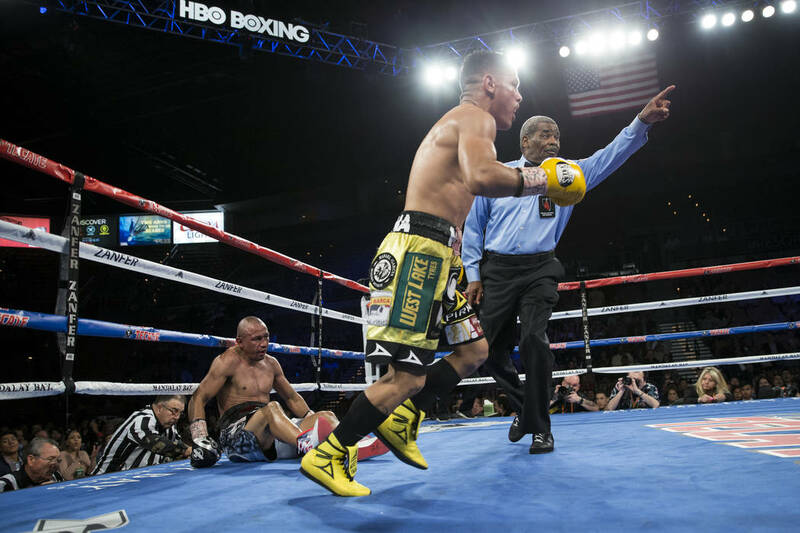 The fighter known as “Siri” fell once more, nearly falling out of the ropes, as Byrd waived off the fight. 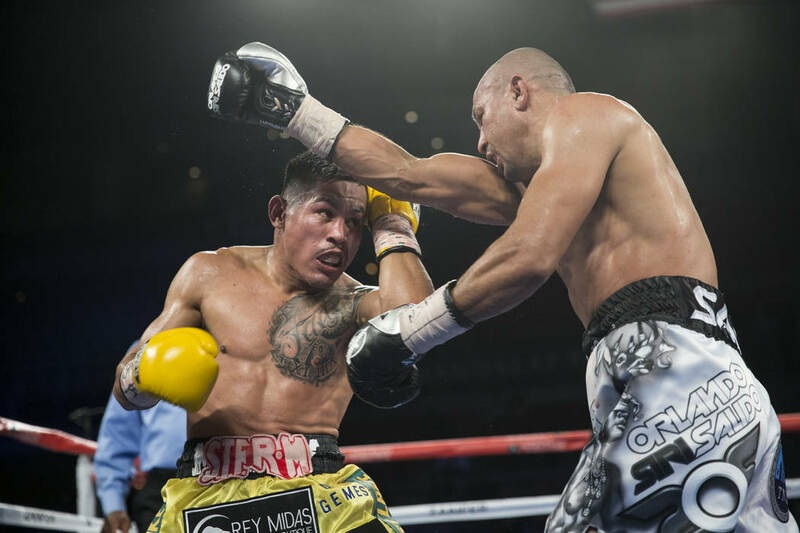 “All the years I’ve been fighting, all the battles, they wear on you,” said Salido (44-14-4, 31 knockouts). 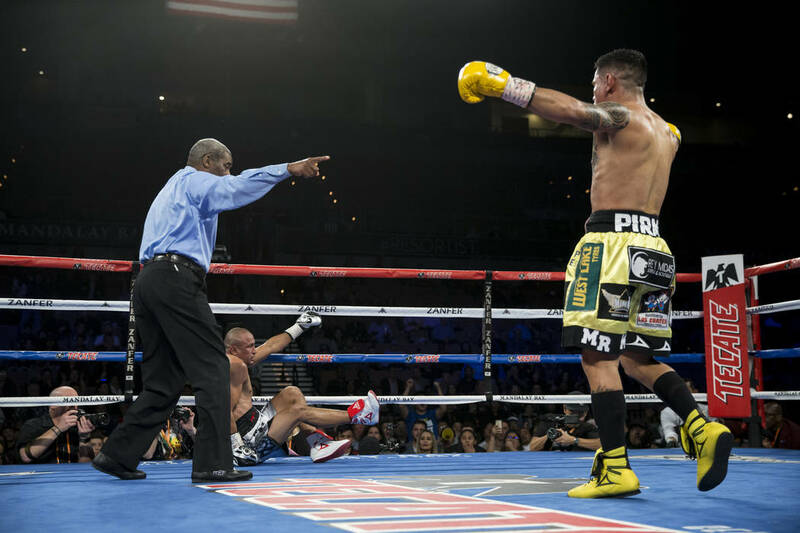 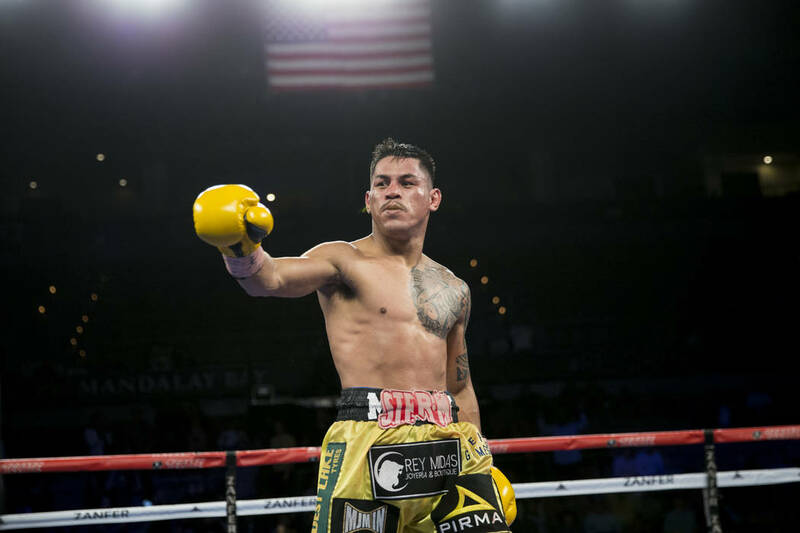 Roman’s upset victory sets him up for a title shot in the junior lightweight division. 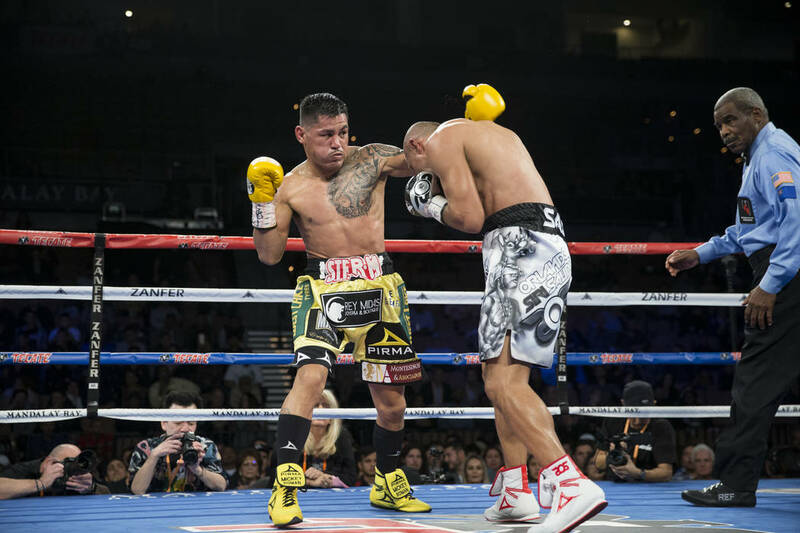 “It was my moment, and I want to fight any champion, (Vasyl) Lomachenko, anyone,” Roman said. 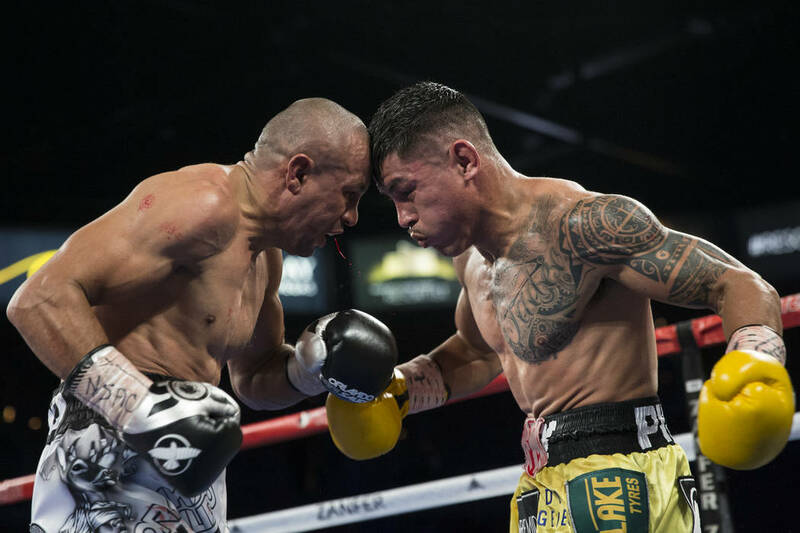 Salido needed to defeat Roman to set up a rematch with Lomachenko, who took care of business by making Guillermo Rigondeaux quit in the sixth round Saturday in New York. 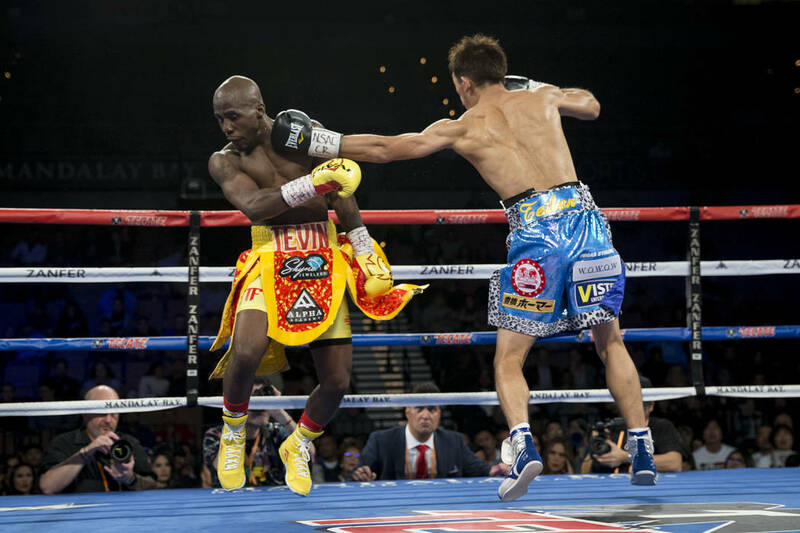 Kenichi Ogawa became the crowd favorite and a world champion after defeating Tevin Farmer by split decision (116-112, 115-113, 112-116) in the co-main event. 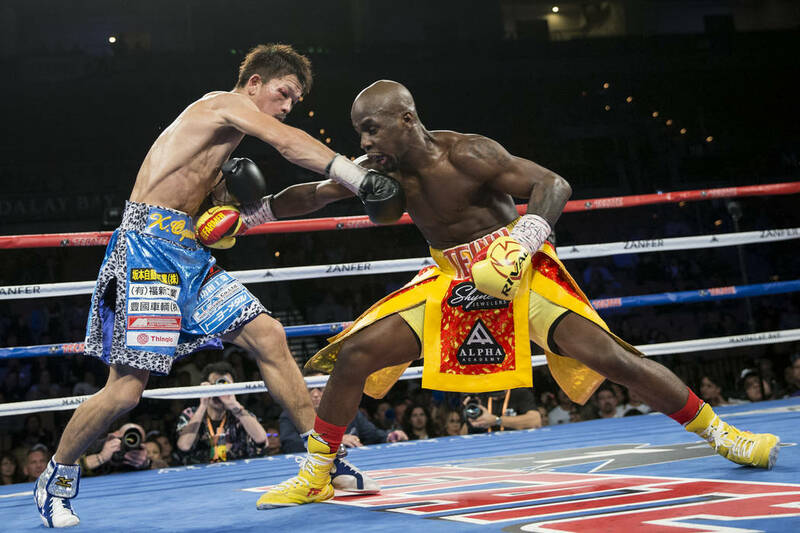 The Japanese boxer’s relentless approach forced Farmer into a back-and-forth brawl. 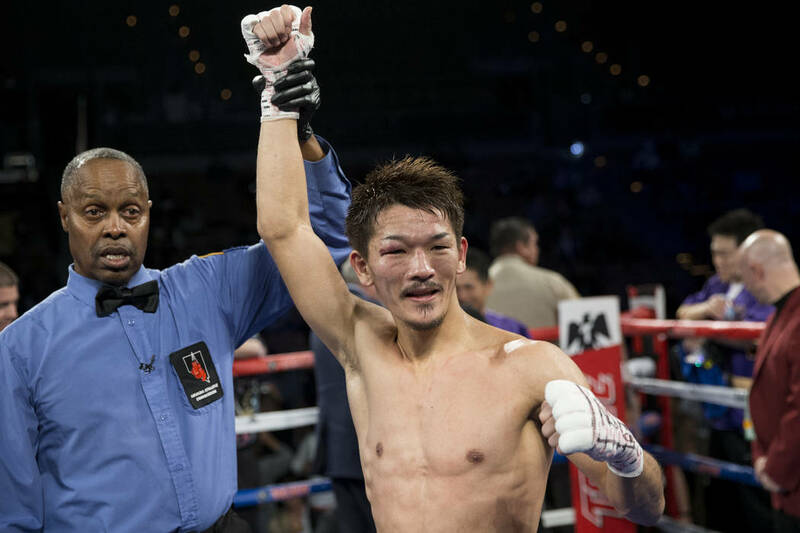 Ogawa (23-1, 17 KOs) won the vacant IBF junior lightweight title. 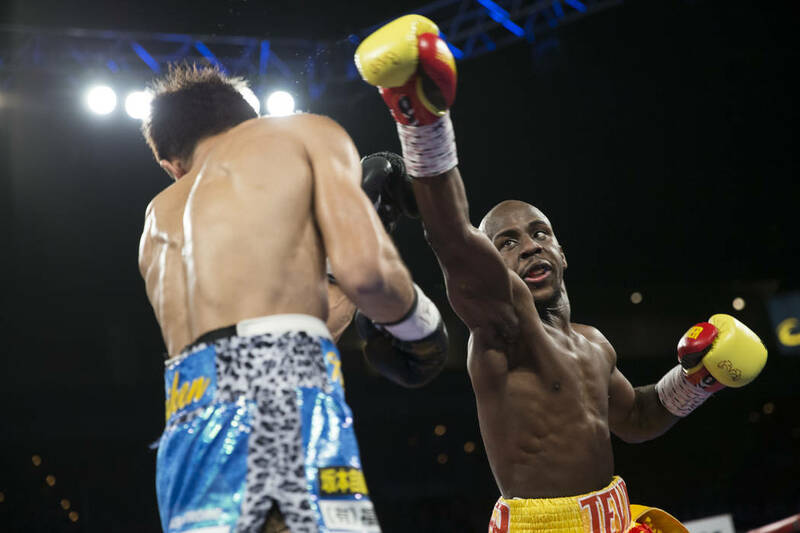 Farmer (25-5, 5 KOs) was left stunned as he hung his head on the ropes. 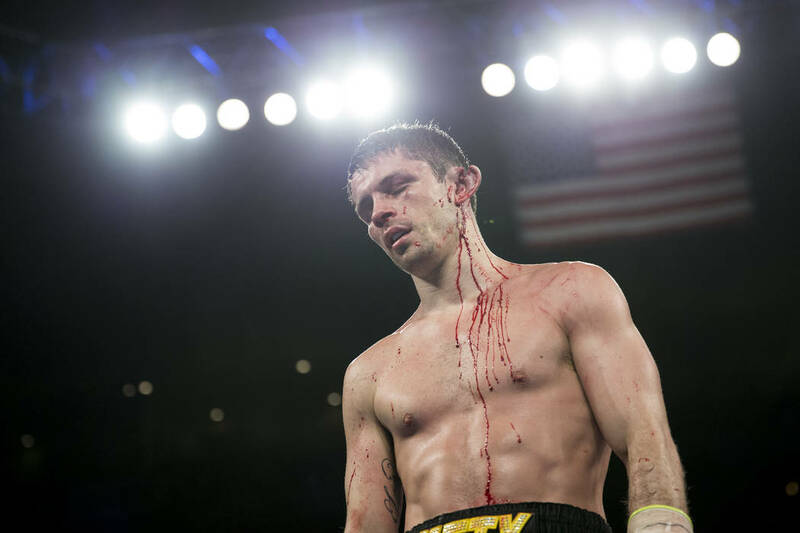 It’s been a difficult year for Farmer, who was shot in the right hand in July and tore his right bicep in January. 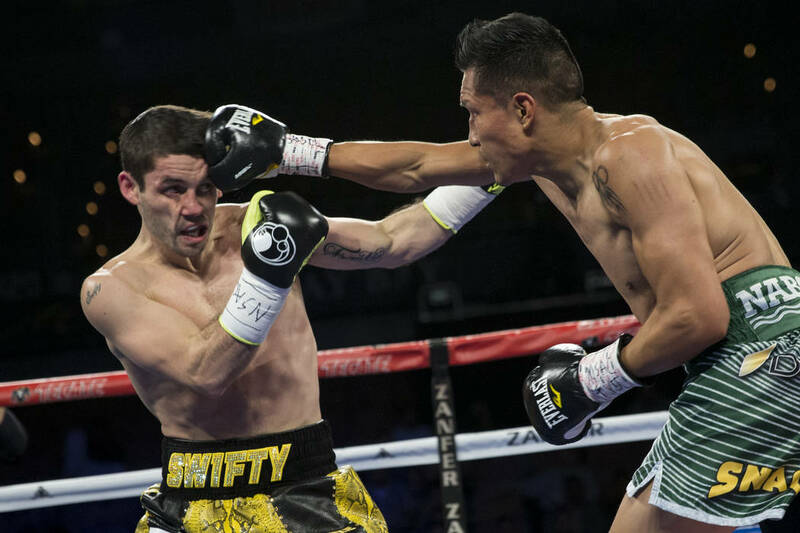 In the first bout of the tripleheader, Stephen Smith nearly lost an ear and Francisco Vargas might have left the ring with a broken nose. 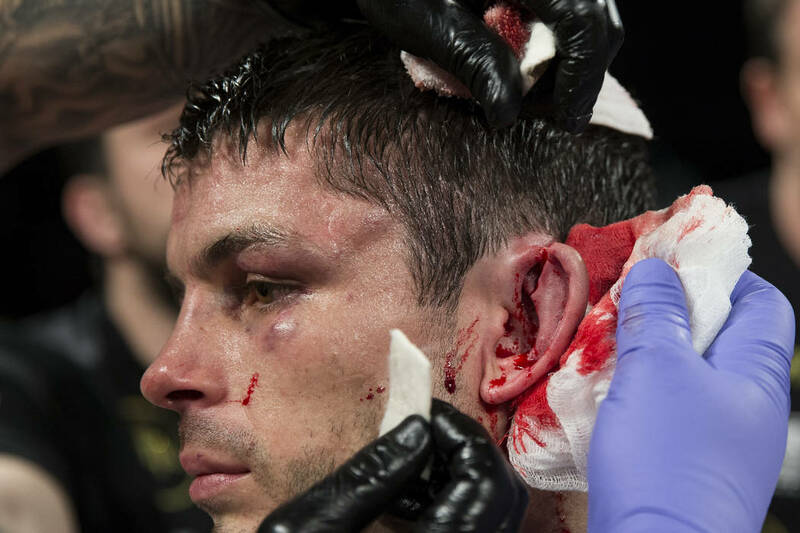 After the two fighters tangled, Smith came out with the top of his left ear sliced in half and hanging to the side. 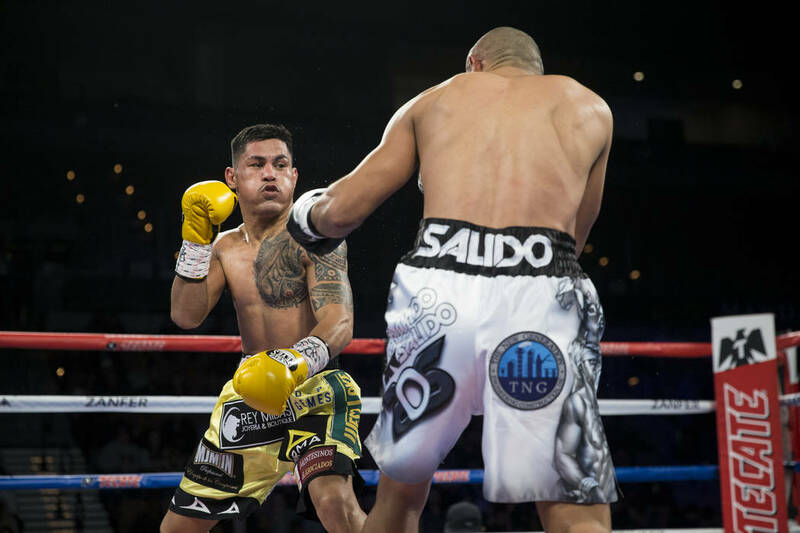 The ring doctor didn’t allow Smith to continue as the fight was stopped with 1:31 left in the ninth round. 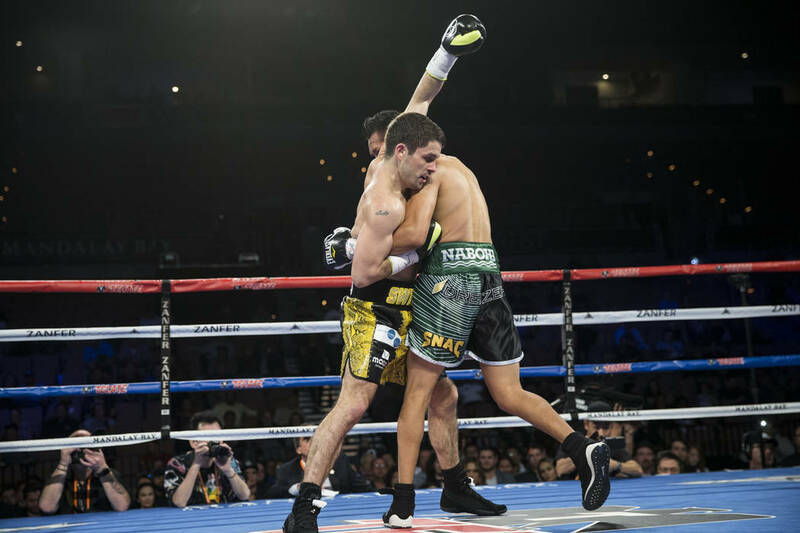 Vargas won by technical unanimous decision (89-82, 88-83, 88-83) to record his first win since his 2015 Fight of the Year against Takashi Miura at Mandalay Bay. 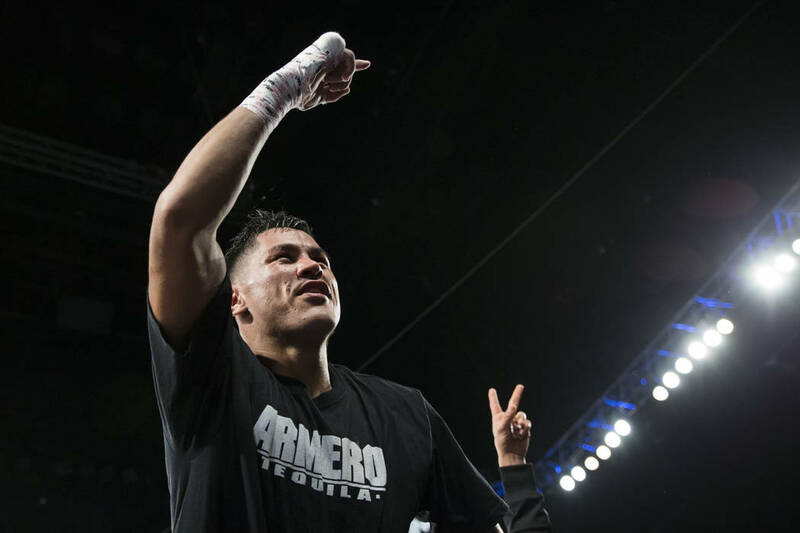 The Mexican fighter wasn’t expecting a brawl against the Englishman. 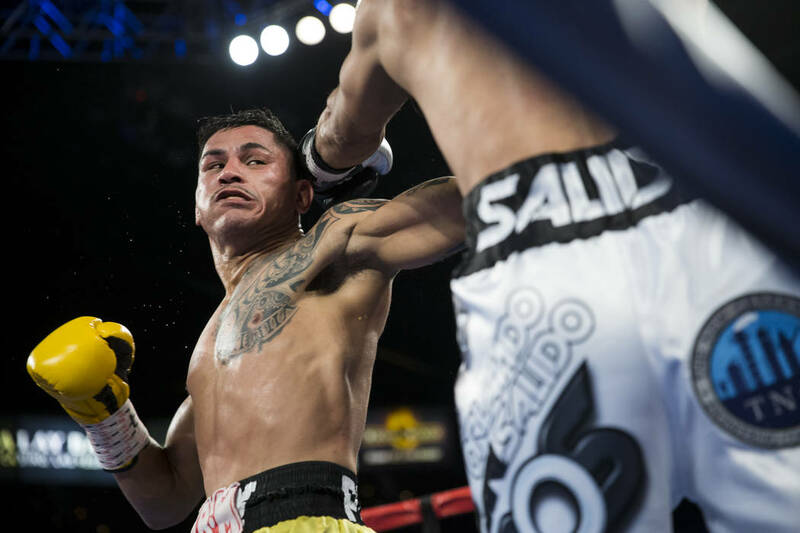 Vargas said last week he passed up a second match against Salido because he wanted a slower-paced tuneup to let his eyebrows fully heal from surgery. 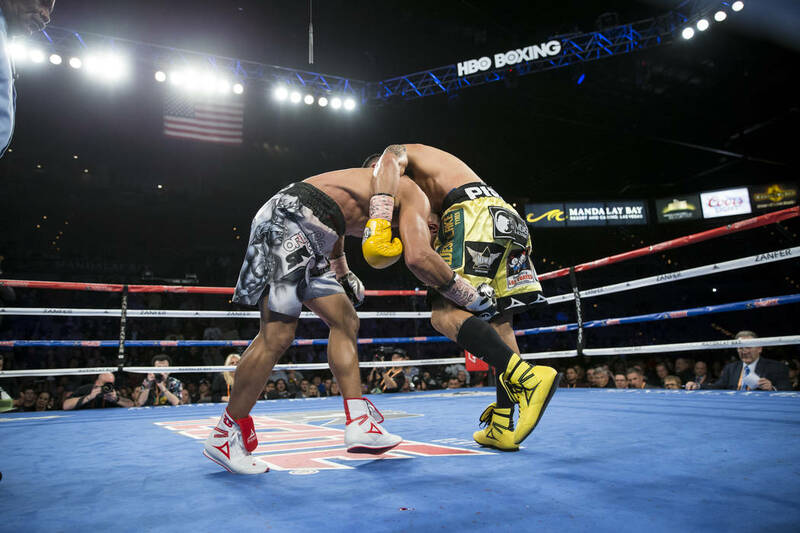 That didn’t happen, as the two foes traded inside nonstop. 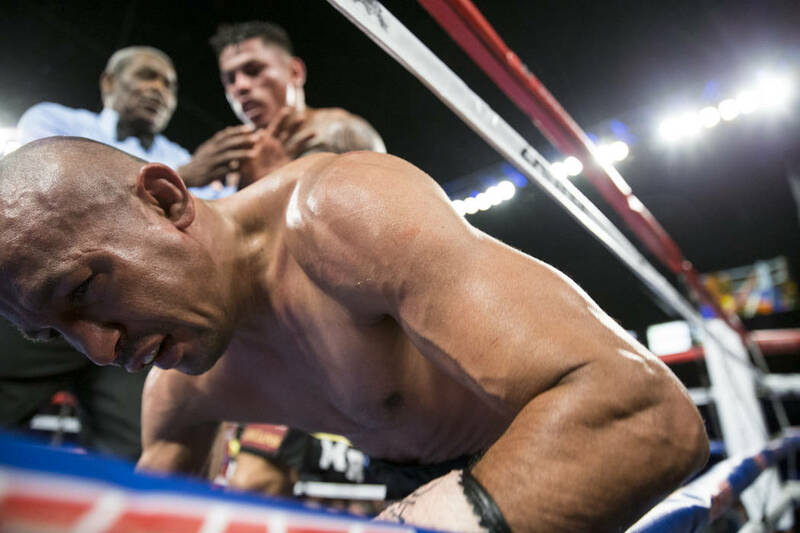 Luckily for Vargas, his eyebrows didn’t reopen despite taking multiple head butts. 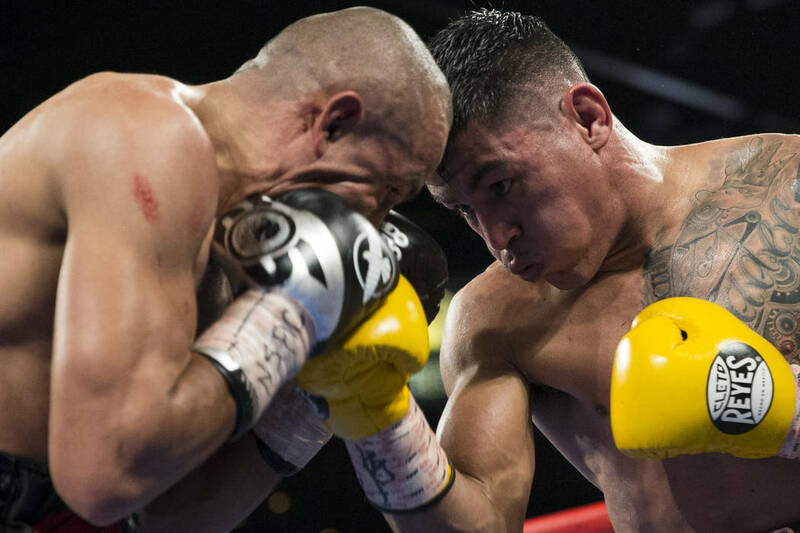 But he left with a dent on the bridge of his nose. 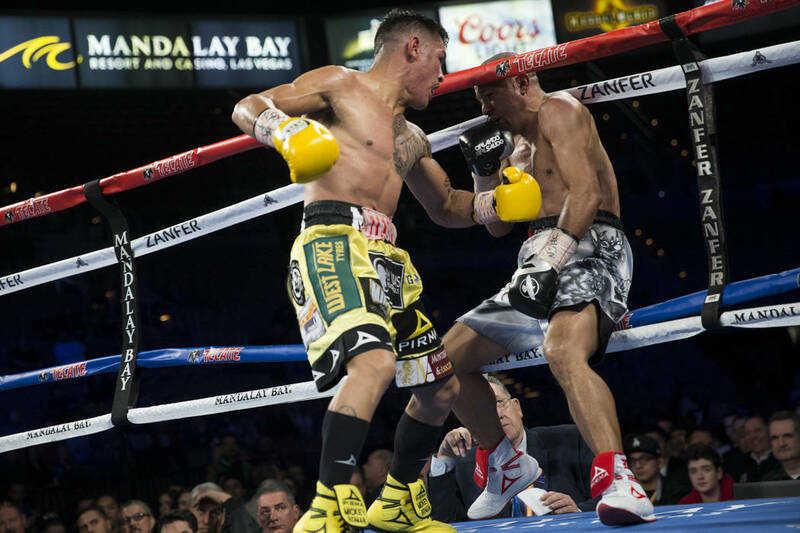 Vargas (24-1-2 17 KOs) ended an 11-month layoff after losing his WBC title to Miguel Berchelt. 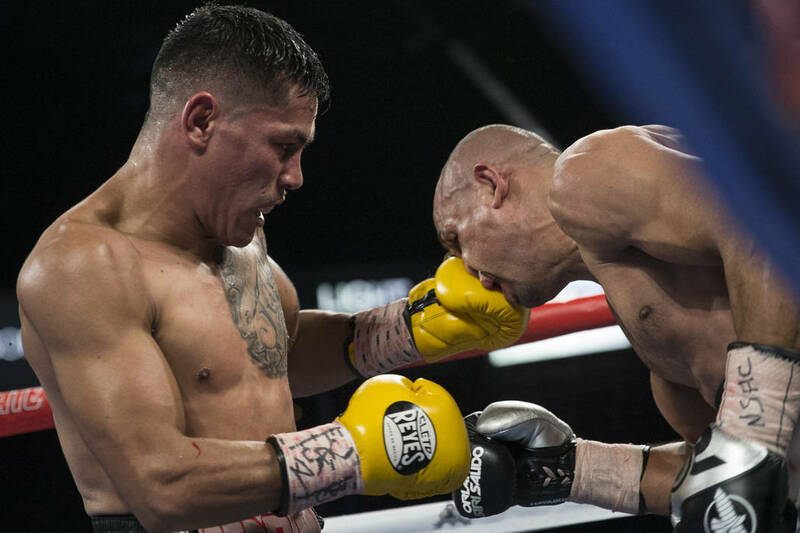 Vargas recorded a draw against Salido in 2016 for his second consecutive Fight of the Year award.